The mission of the Parks and Trails Department is to preserve, protect and enhance the park lands, trails, and public open spaces of Santa Clara City for the benefit of citizens and visitors. 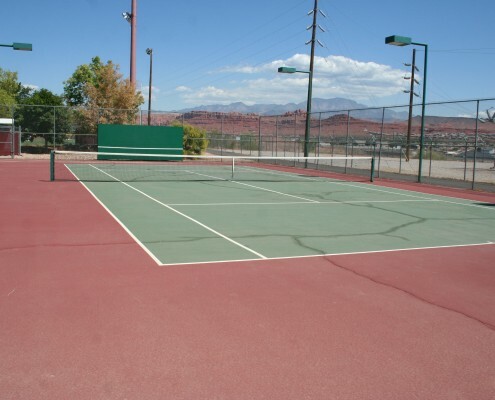 We provide a leisure services system that is responsive to and directed by the diverse and changing needs of our patrons. 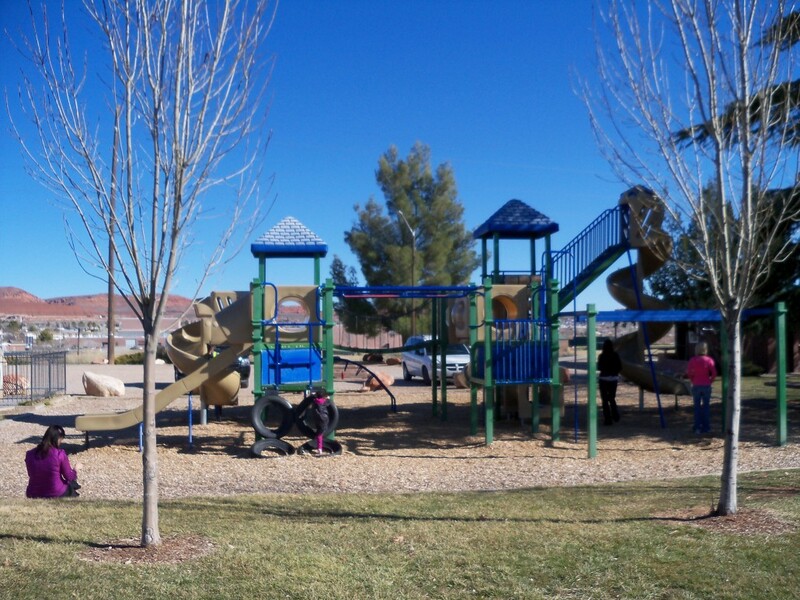 We plan for the future growth and expansion of park facilities, open spaces, trails, and activity centers. 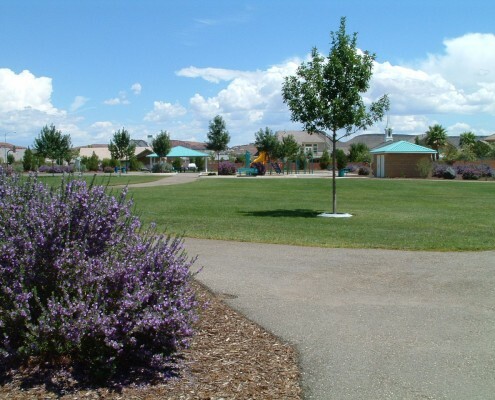 We operate well-maintained facilities, including parks and recreation centers, and support Santa Clara’s image of “A Beautiful Place to Live”. Directions from St. George: North on Bluff Street to Sunset Blvd, turn Left. Sunset Blvd will turn into Santa Clara Drive. After going through town and up the hill, turn right on Rachel Drive. Go through the signal and turn left after the fire station into Gubler Park parking lot. 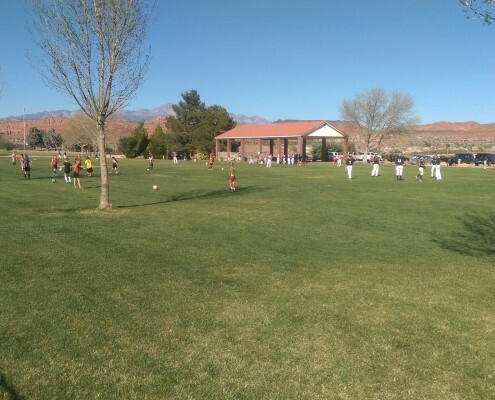 Directions from Ivins: West on Snow Canyon Parkway which will turn into Center Street. Turn left on Puerto Drive. Puerto Drive will turn into Rachel Drive when you enter Santa Clara. After Lava Ridge Intermediate School turn right into Gubler Park parking lot. 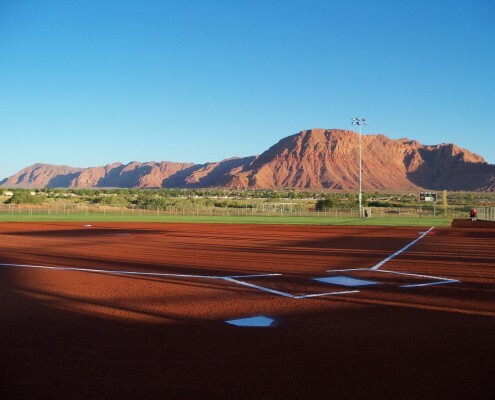 Bleachers, Dugouts, Scoreboards, Storage Areas, Concession Stand, and Activity/Conference Room. 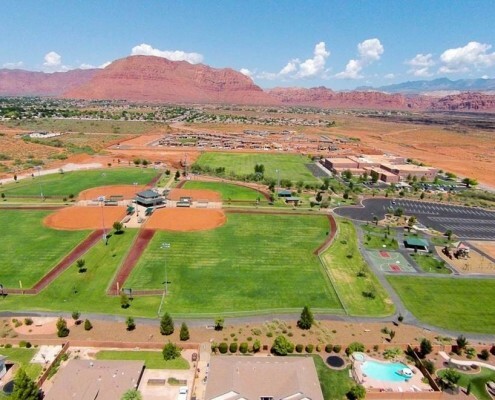 The facilities are used for both local and visitor play of large and small groups: regulation softball tournaments, Huntsman World Senior Games, family teams, and more. 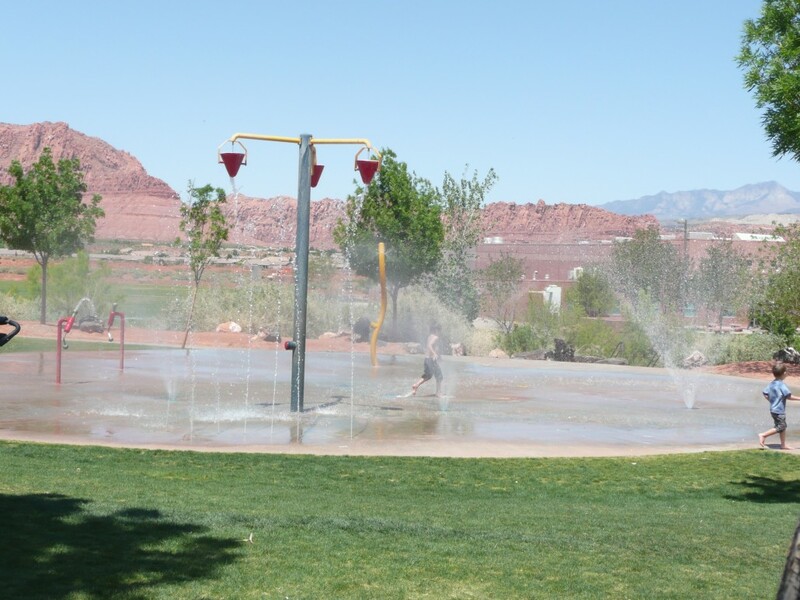 The Splash Pad is now open for the season. 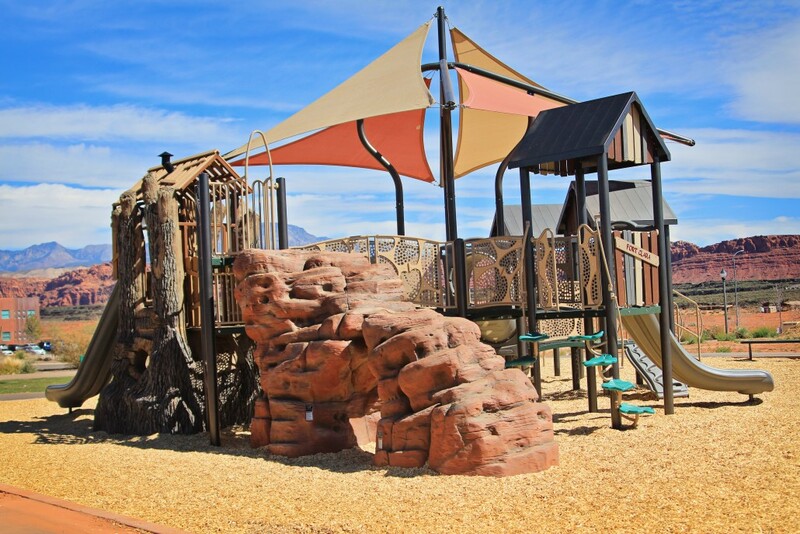 Amenities: Playground, Basketball Court, Pavilion, Restrooms, Picnic Tables and Drinking Fountain. 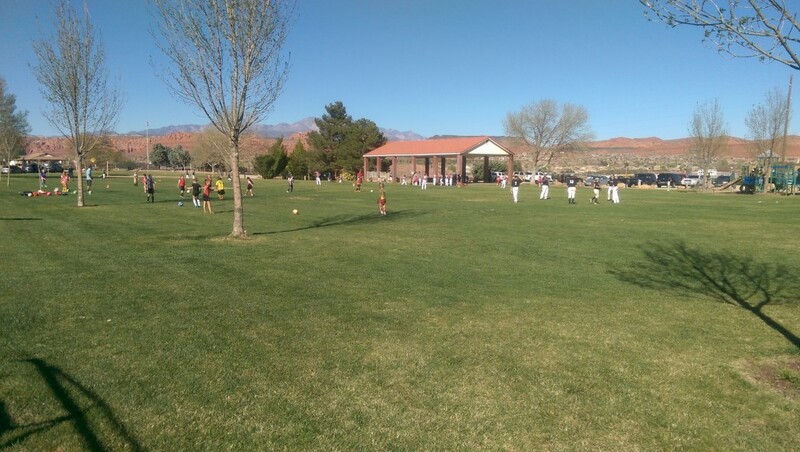 Black Rock Park is an ideal neighborhood park. 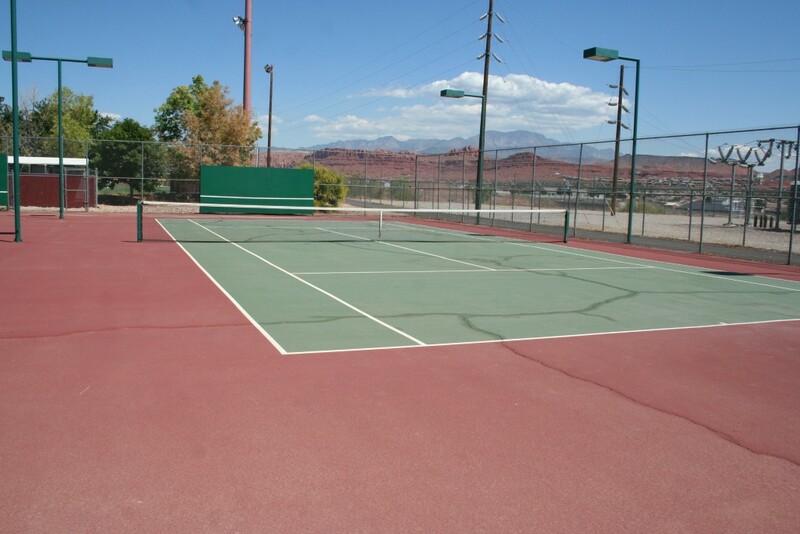 It is used extensively by locals and especially by the surrounding neighborhood. 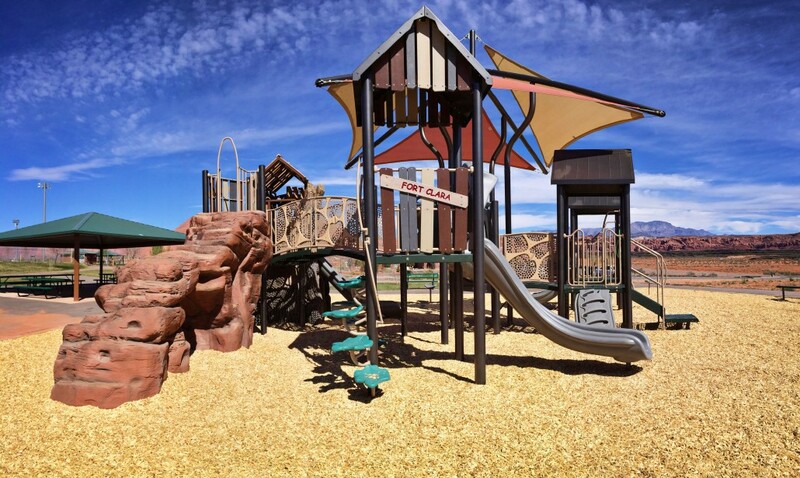 Equipped with playground, basketball court, plenty of green grass to run on, and a large pavilion for shade, it meets the growing need of the community for parties, reunions, and more. 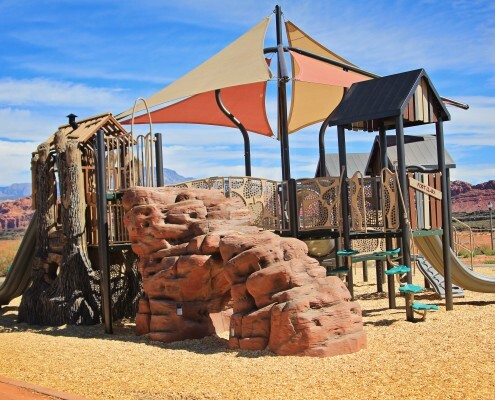 Amenities: Playground, 2 Pavilions, Restrooms, Picnic Tables, Sand Volleyball, Tennis Courts, Open Grass, Ball Field, Trailhead and Drinking Fountain. 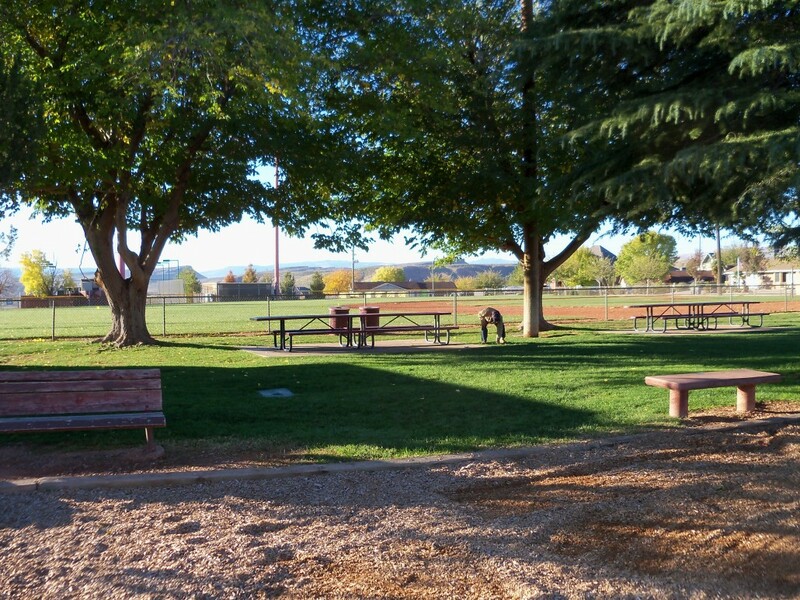 Canyon View Park is Santa Clara’s oldest park. 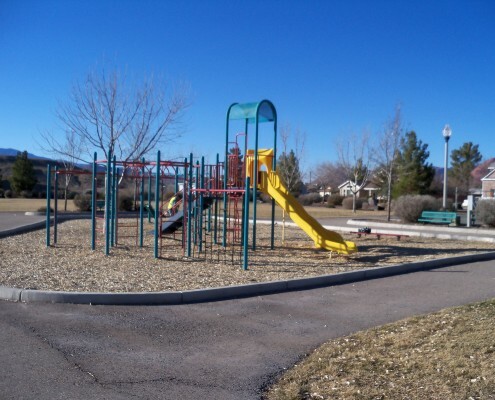 Located at the top of the hill on the heights section of Santa Clara, this park has provided residents and visitors with wonderful shade, welcoming events, and playful activities for many years. 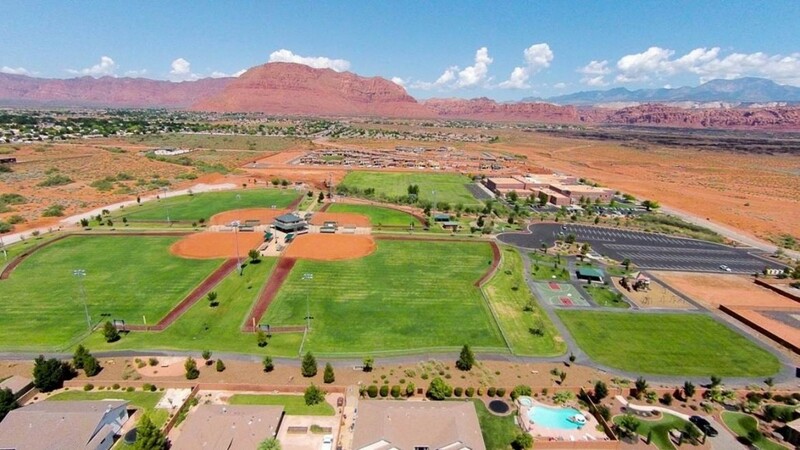 It offers a large open grass area, a ball field with bleachers and scoreboard to host Little League, softball and family play, a large and small pavilion to enjoy outdoor events, an additional pavilion with picnic tables, a sand volleyball court, and two tennis courts. 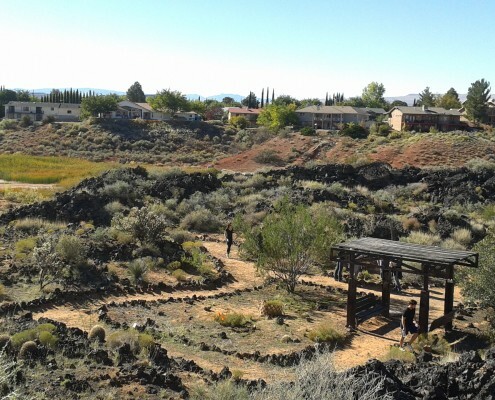 The Lava Flow trail (paved) begins here, then twists and turns along Tuacahn Wash and through the Santa Clara Lava beds for more than a mile before it reaches Red Mountain Drive on the north of Santa Clara. Ammenities: Sara Leavitt Statue, and Leavitt’s Genealogy Plaque. Historical museum and mural. 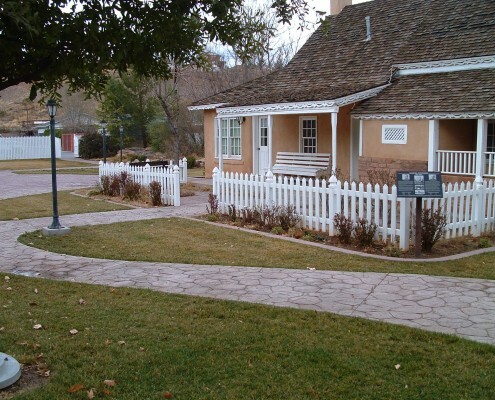 Santa Clara’s attractive Town Hall, built in 2008, houses the City offices and a display of historical photographs and maps depicting the history of Santa Clara. It is open 8 a.m. – 5:30 p.m. Monday through Thursday. 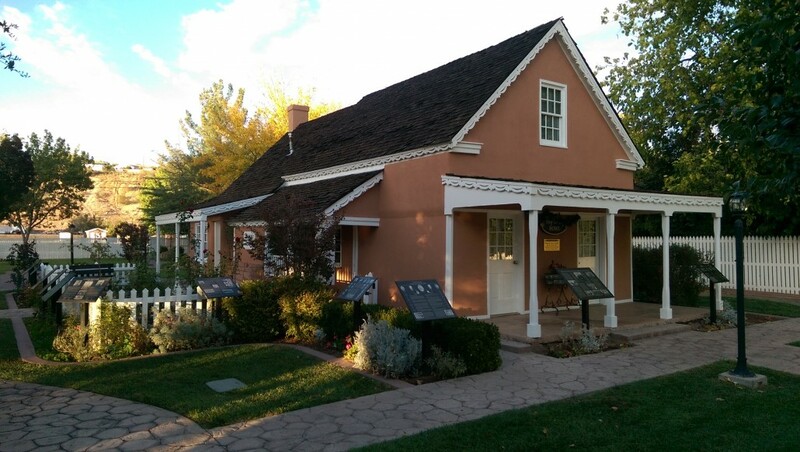 The Santa Clara History Museum, located in the basement of the Town Hall, is open Saturdays from 11-4. 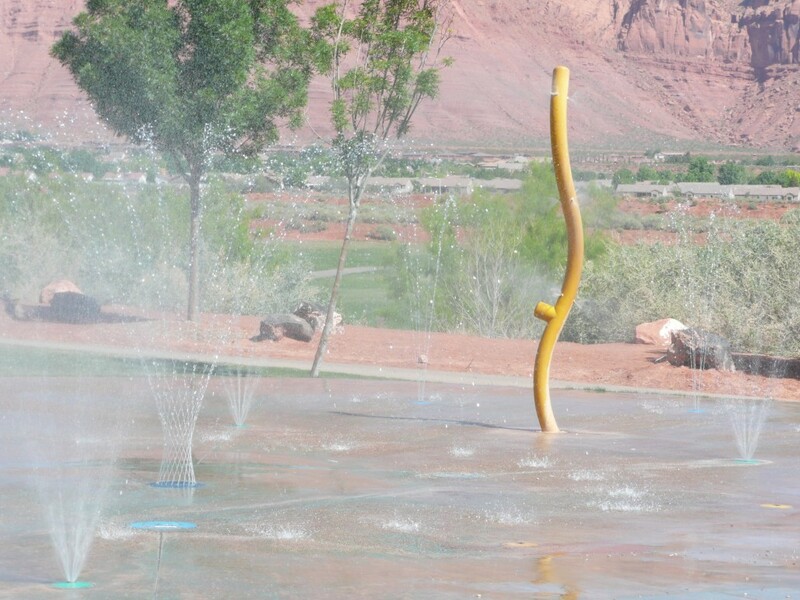 Reservations for groups and families can be made by calling (435) 879-5297. 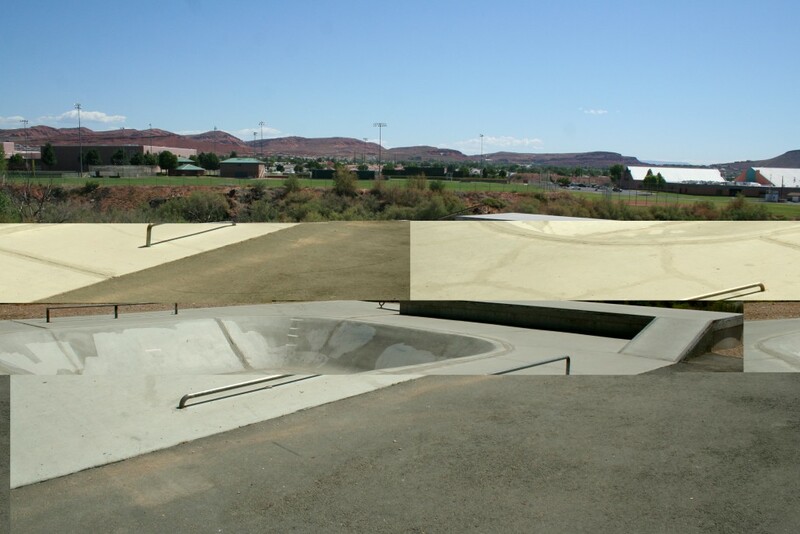 The Skate Park is adjacent to the large Canyon View Park. 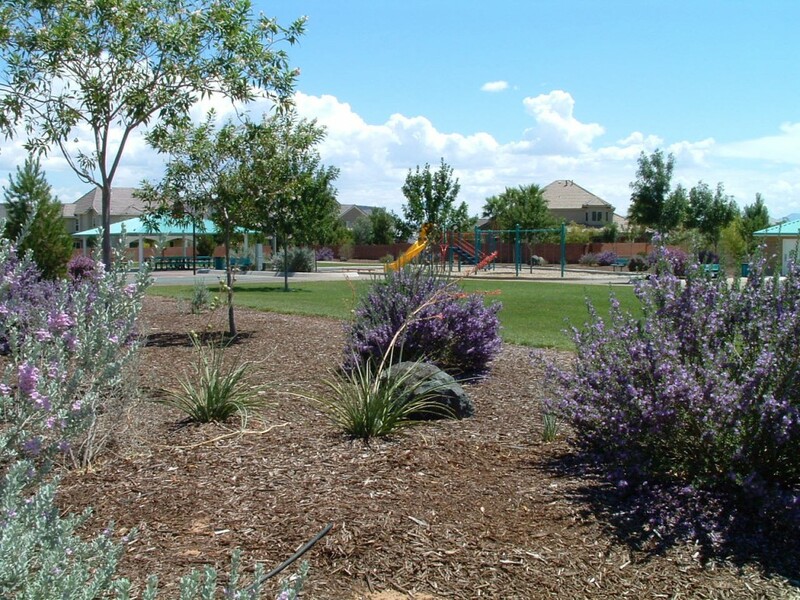 Santa Clara’s Arboretum is an important outdoor treasure, and like the City itself has a long and valuable history. 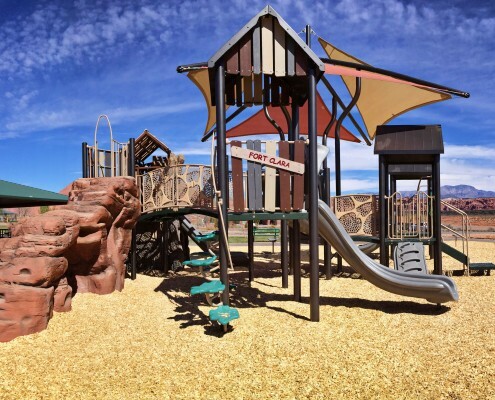 Located to the east of the City, just north of the Little League fields, the Arboretum is a unique blend of desert park, wetlands, and wildlife sanctuary. 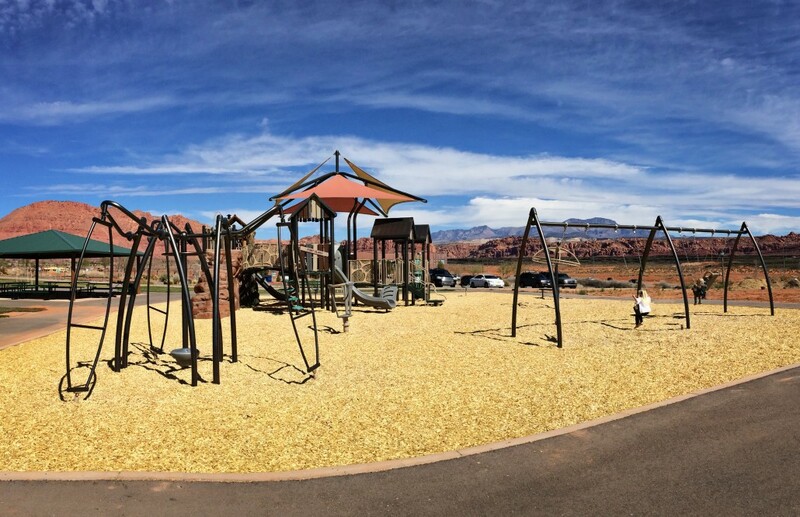 It is an area that is constantly evolving. 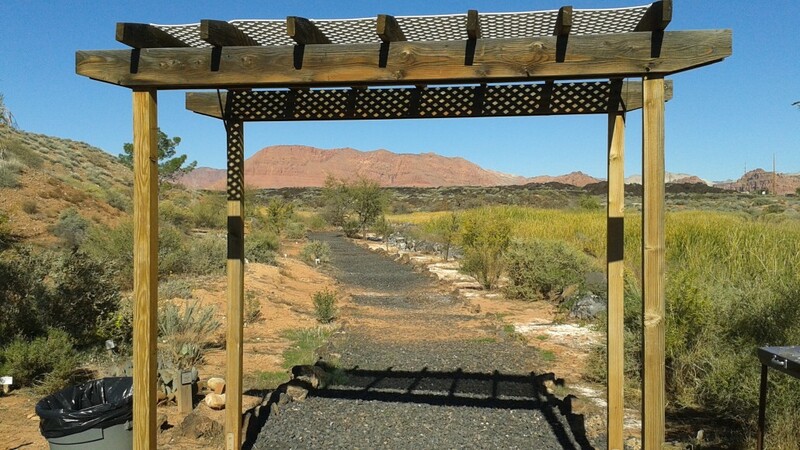 The Arboretum’s unique landscape and variety of vegetation was originally the vision of Dr. Robert Shepherd, the man who hand built the Arboretum in the early 1980’s. 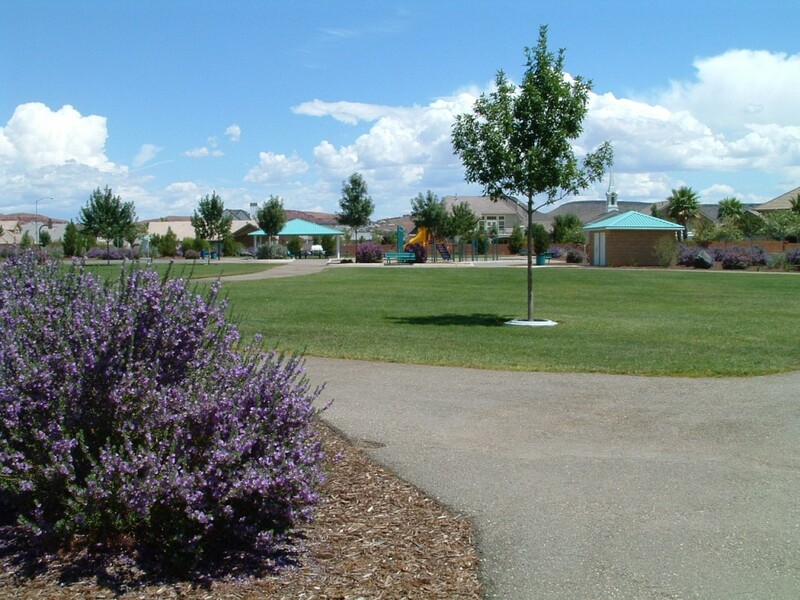 Numerous city residents enjoyed the Arboretum, but by 2003 its wetlands had been choked by an abundance of non-native Tamarisk. 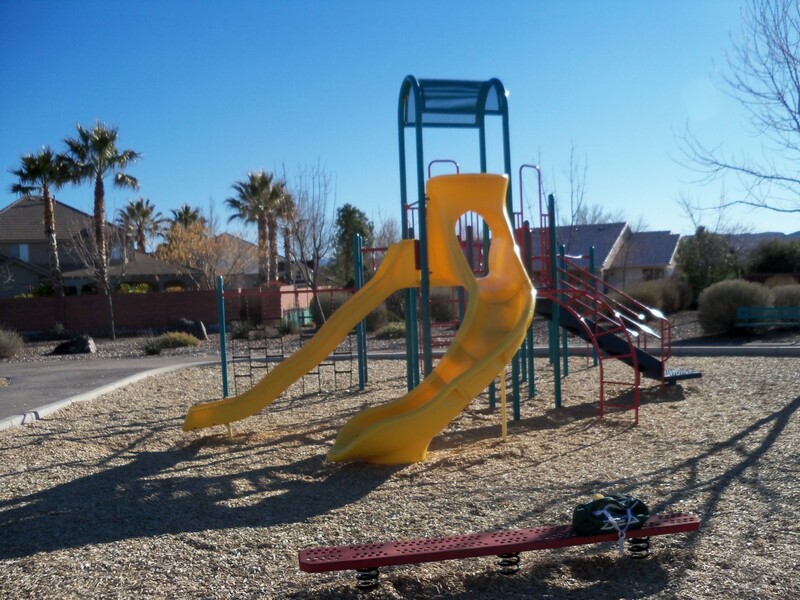 Over the years, numerous projects have been undertaken to restore the Arboretum. 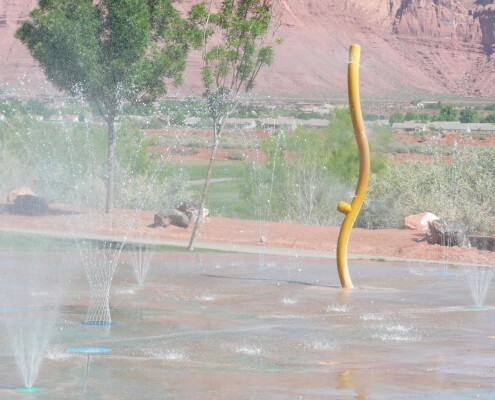 A Dixie College Community Day spearheaded enthusiasm to clean up the Arboretum in 2004. 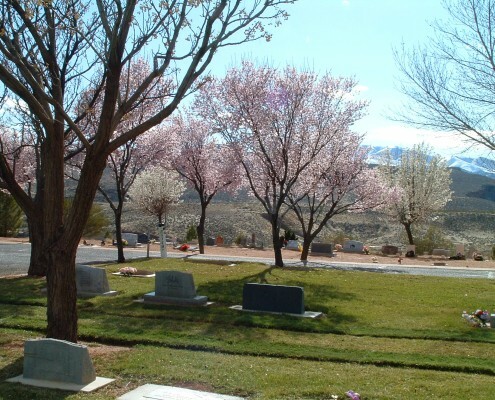 Unfortunately, the Tamarisk trees caught fire that same year and a large section of the Arboretum burned. 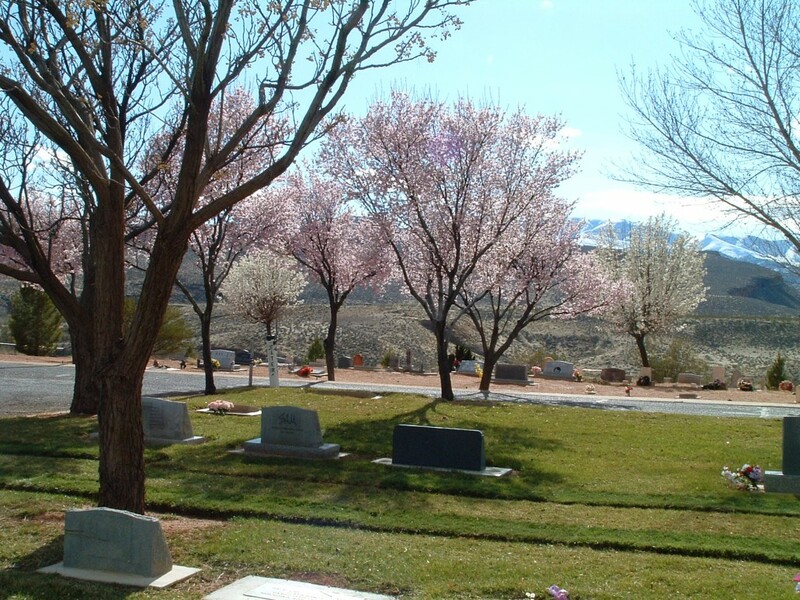 A grant was obtained from the Utah Quality Growth Commission to fund restoration and remove the invasive Tamarisk. 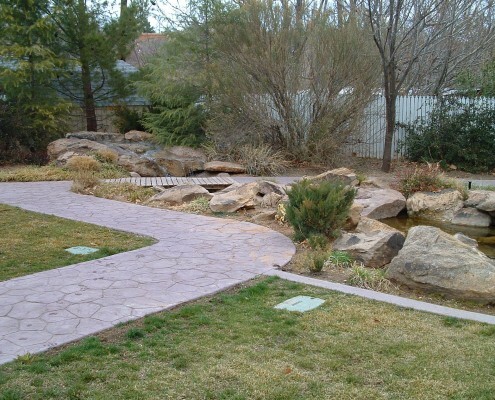 In 2005, efforts focused on the cactus garden. 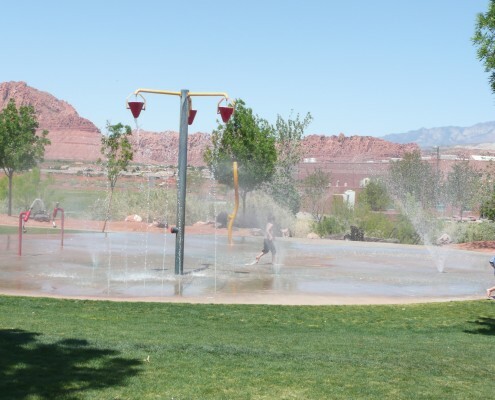 Additional funding was obtained from the Utah Quality Growth Commission in 2008 to restore stream banks in the wash, establish an irrigation system, and eradicate weeds and Tamarisk. 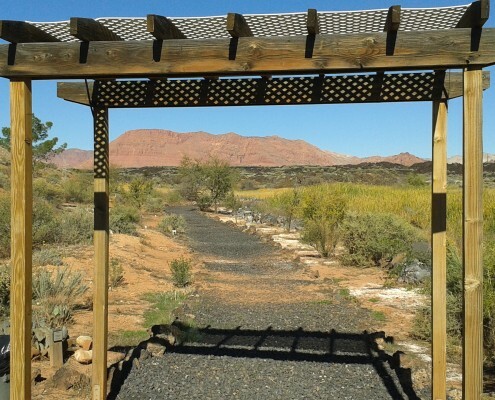 Visitors to the Arboretum will find several winding and connecting trails leading through underbrush and over lava rocks, with native plants, shrubs and trees neatly labeled. 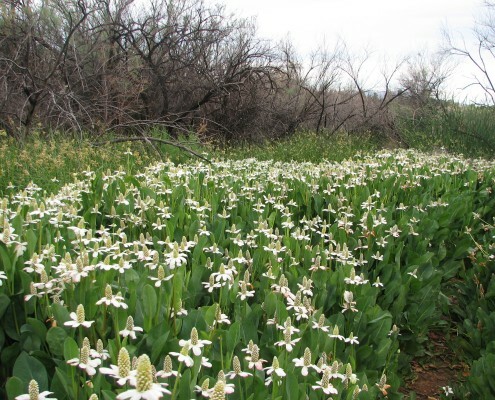 The area includes experimental species that are testing their ability to survive southwest Utah’s desert climate. A walk through the Arboretum reveals much about the local geology and abundant wildlife residing there. Floods in recent years have changed the Arboretum area again. Much work still remains to complete the Arboretum restoration. 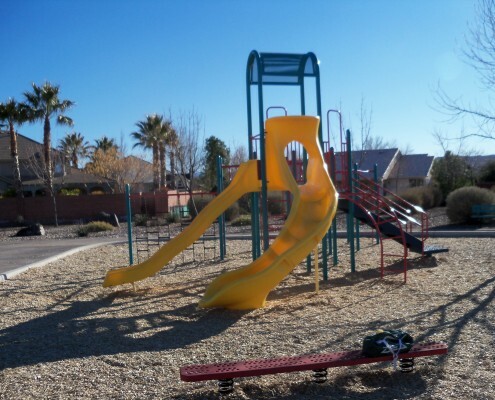 To volunteer time, equipment, or cash donations, please call Santa Clara Parks Director Brad Hays (435-656-4690 ext 221). 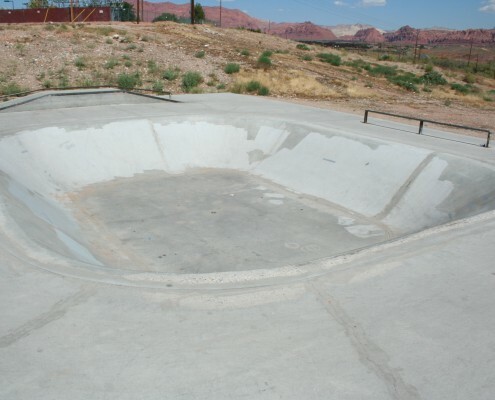 Also visit the Volunteer Opportunities page to view the currently available opportunities for this project. 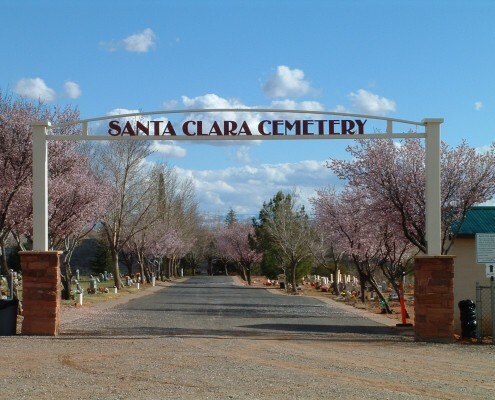 The Santa Clara City Cemetery is a gateway to the past. 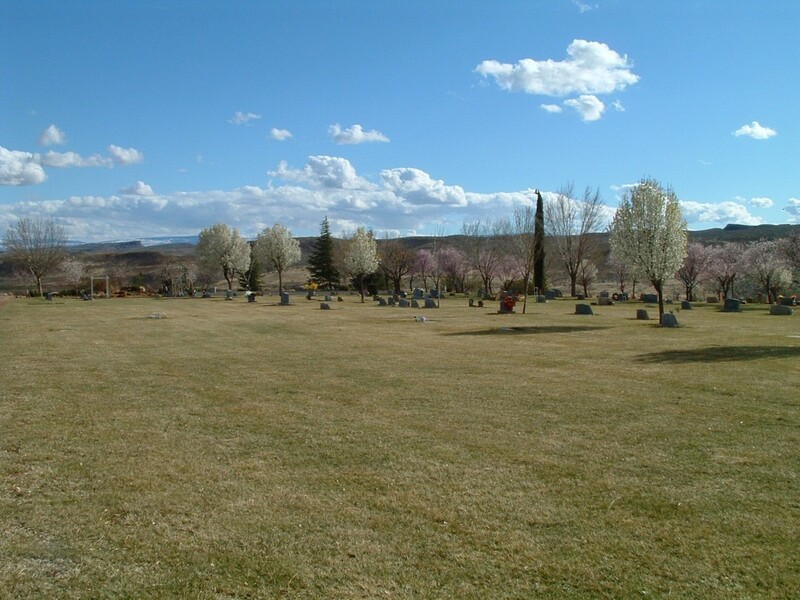 With grave sites that go back to the founders of our city, this Historical Site is one of the oldest places in town. 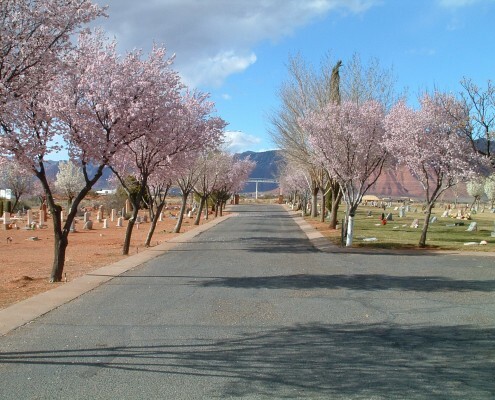 The trail to the Jacob Hamblin Home begins south of the historic section of the cemetery. 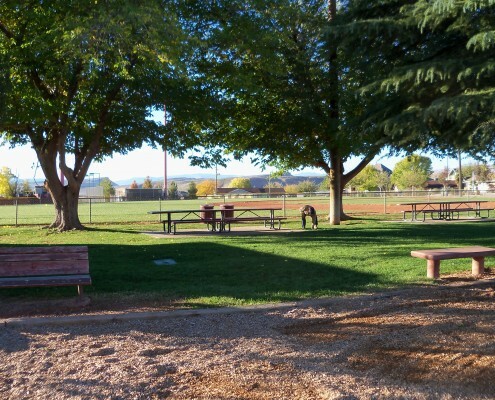 The mission of the Santa Clara River Reserve is to preserve the cultural heritage, open space, recreational opportunities, and resource values of the Santa Clara River Reserve for our communities through a Recreation and Open Space Management Plan that provides for resource protection, interpretive education, traditional use, and planned recreation. 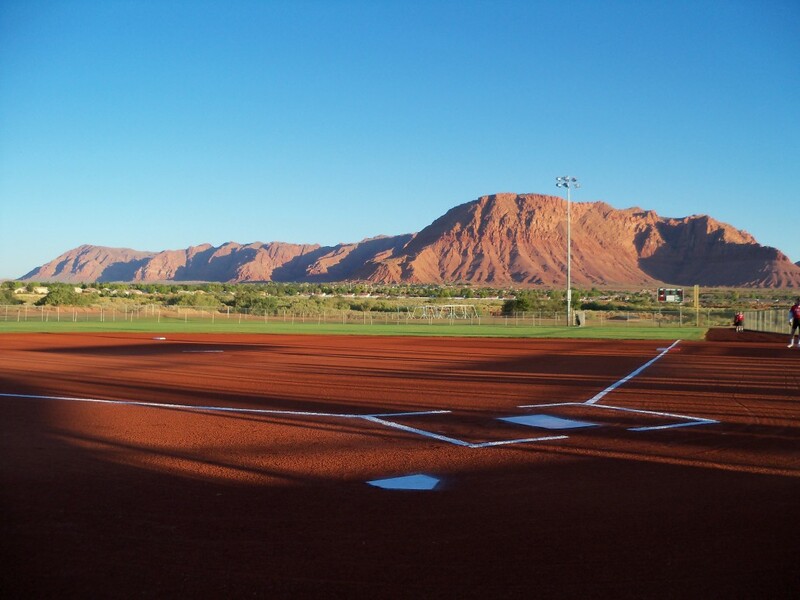 Our goal is to foster a sense of place that balances the need for resource protection with the need for recreational opportunities that offer a range of experience outcomes. 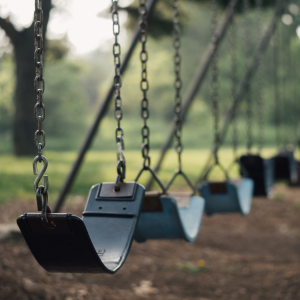 The Plan will identify educational opportunities that inform the public about sensitive resources and cultural heritage, and be responsive to changing community needs through adaptive management strategies. 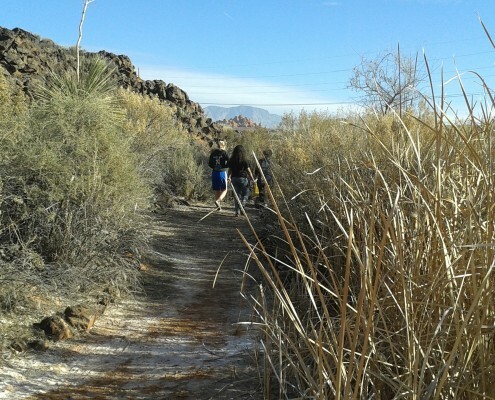 The lower reach of the Santa Clara River has been used and modified by humans for thousands of years. 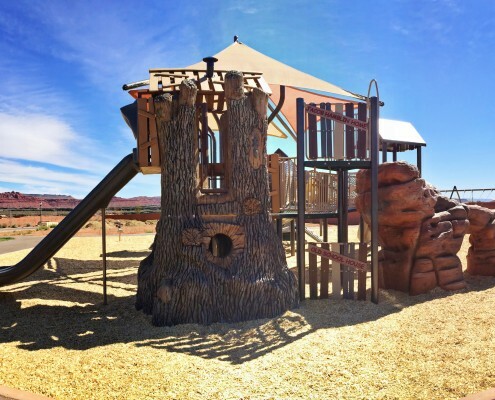 Evidence of different cultures is found throughout the reserve in the form of habitation sites, special activity areas, and rock art localities. 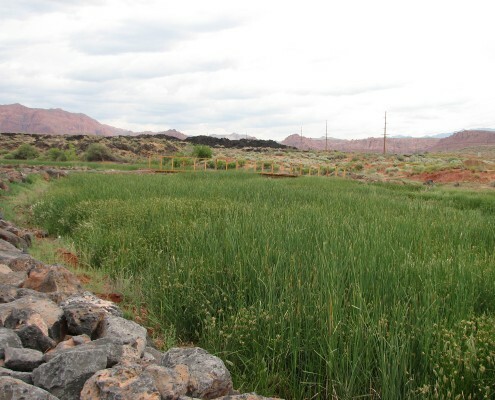 Early indigenous people (labeled by archeologists as Ancestral Puebloans or Virgin Anasazi) became corn and bean farmers who irrigated their crops by diverting water from streams like the Santa Clara River. They constructed permanent village sites and produced fine quality ceramics, leaving abundant and tangible evidence of their presence on Land Hill, along the riparian corridor, and elsewhere in the reserve. Later, the only indigenous people who permanently occupied the region were the Southern Paiute. At springs and along the stream channels, they, too, practiced small-scale farming. 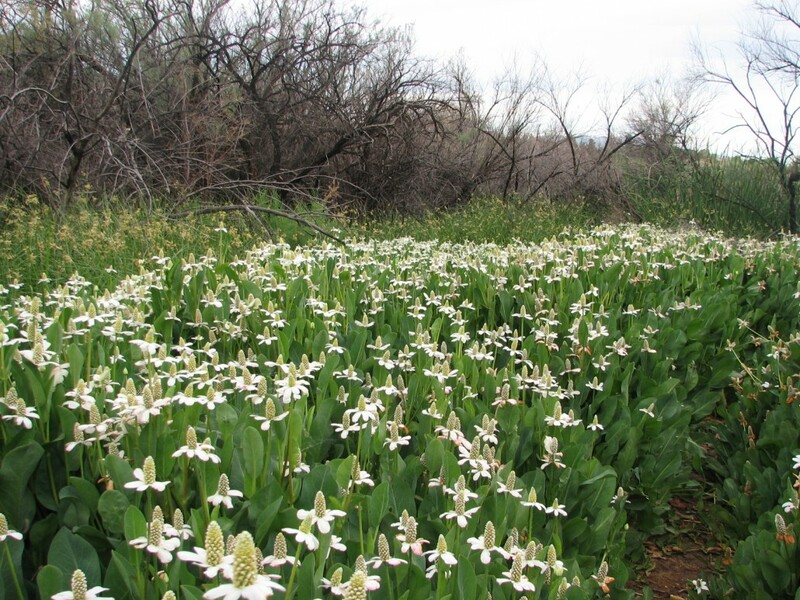 Hunting and gathering of native plants were also important in the economic adaptations of the early Southern Paiute. 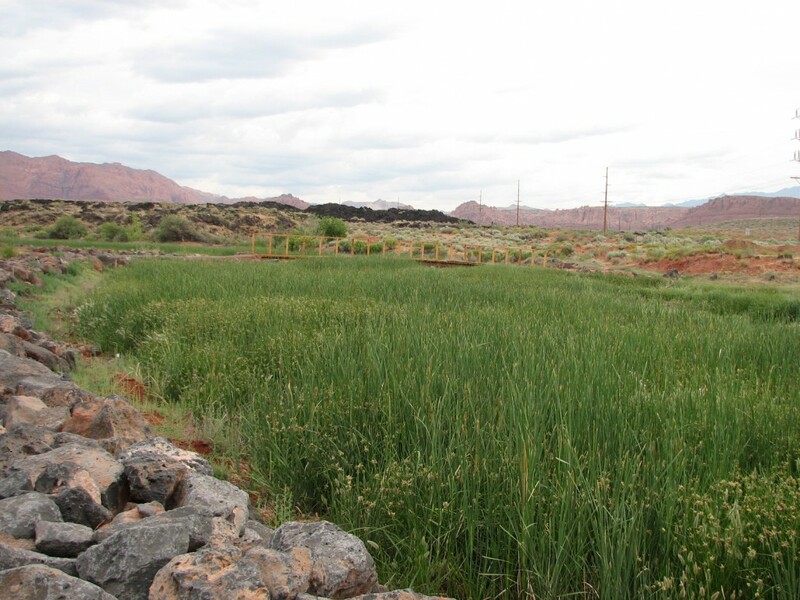 The Shivwits Band of Southern Paiute continue to make the banks of the Santa Clara their homeland. A presidential Executive Order, dated April 21, 1916, set aside land along the Santa Clara River as a reservation for the Shivwits Band of the Southern Paiute. 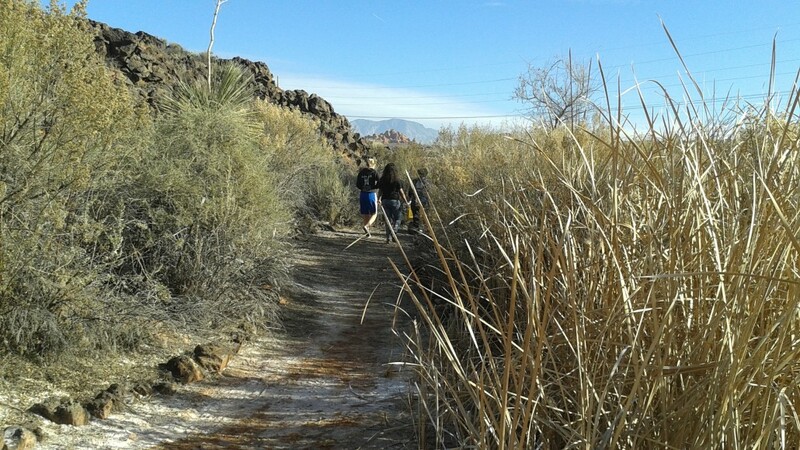 The Shivwits Reservation forms a portion of the northern boundary of the Santa Clara River Reserve. 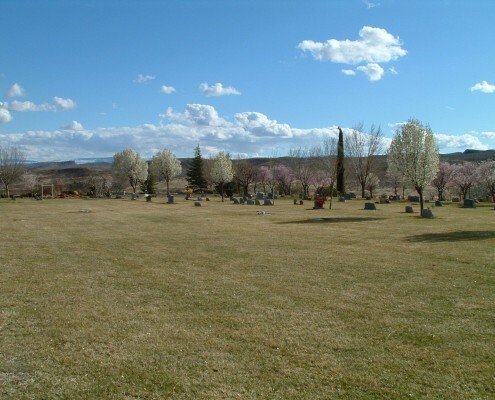 Permanent agricultural settlements were eventually established by Mormon pioneers along the Santa Clara River during the mid-19th Century. 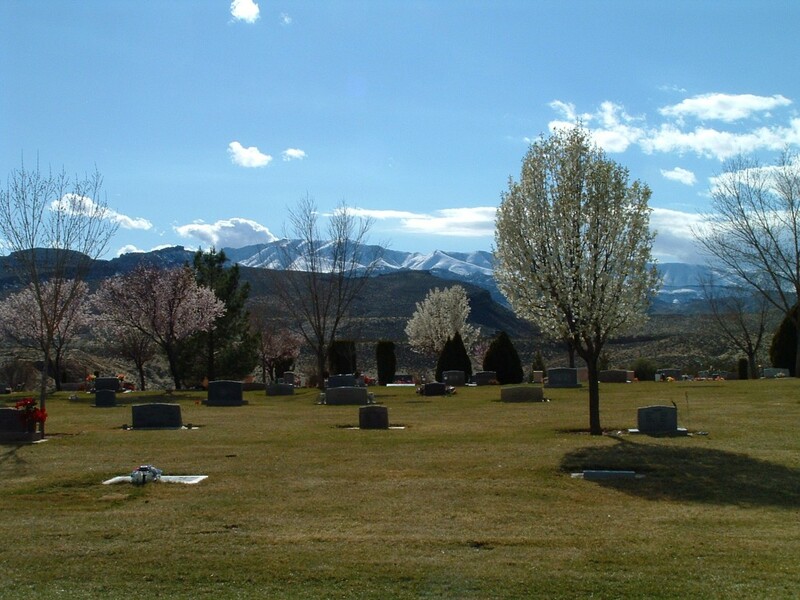 These settlements often displaced the Southern Paiute who had traditionally cultivated the same lands along the river. 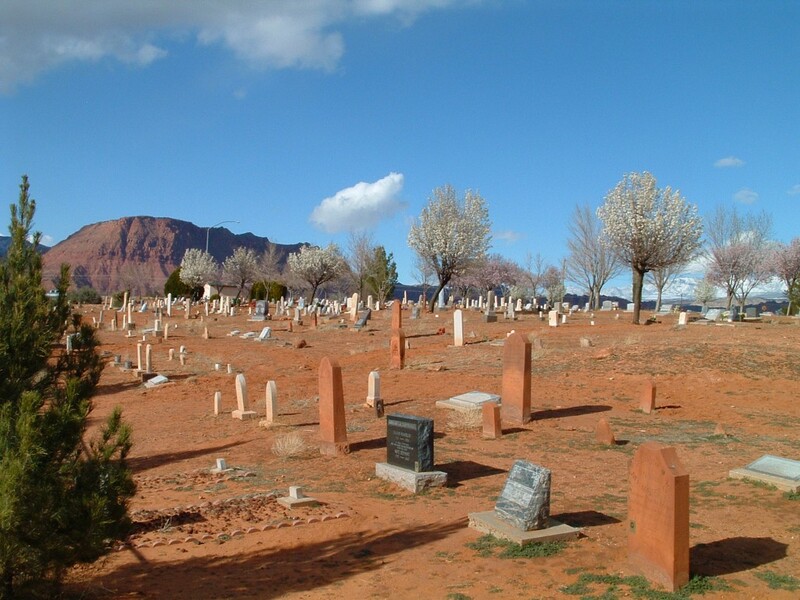 The early Mormon settlers of southern Utah used the nearby canyons and hills of the reserve. 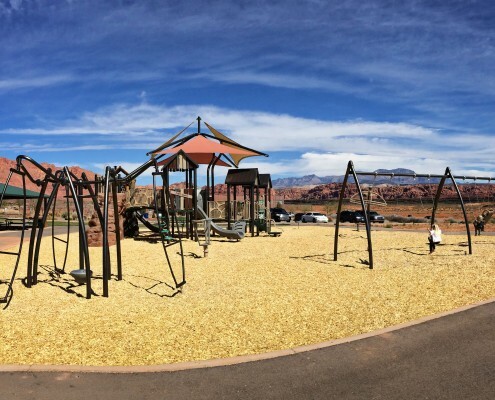 Several geographic features still bear the names given to them by those early residents: “Big Rock,” “The Gate Rocks,” and Cove Wash.
Cinder Trail (paved) is the newest trail. It runs between Cinder Circle and Claude Drive and connects the Vineyards with Black Rock Park. 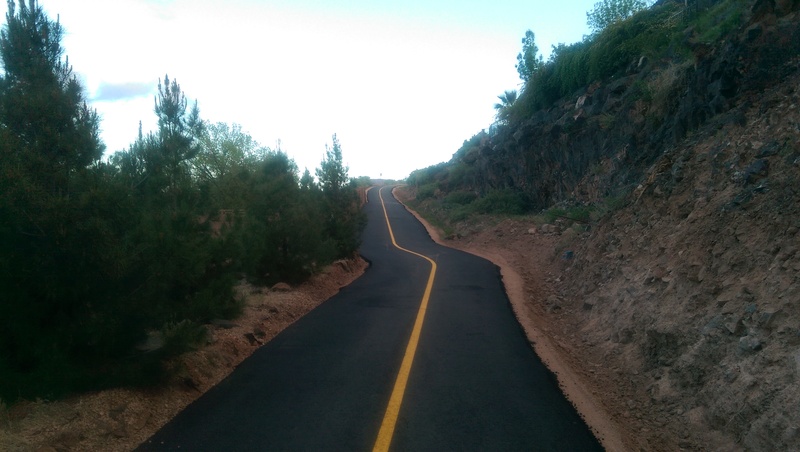 The Lava Flow Trail (paved) begins at Canyon View Park (1400 Canyon View Drive), and then takes a route along Tuacahn Wash and through the Santa Clara Lava beds for more than a mile before it reaches Red Mountain Drive on the north side of Santa Clara. 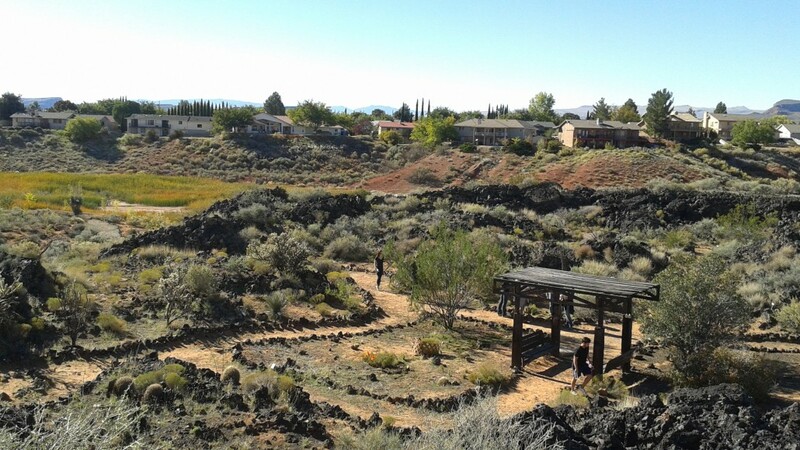 Santa Clara City Arboretum has several winding and connecting unpaved trails leading through underbrush and over lava rocks, with native plants, shrubs and trees neatly labeled. 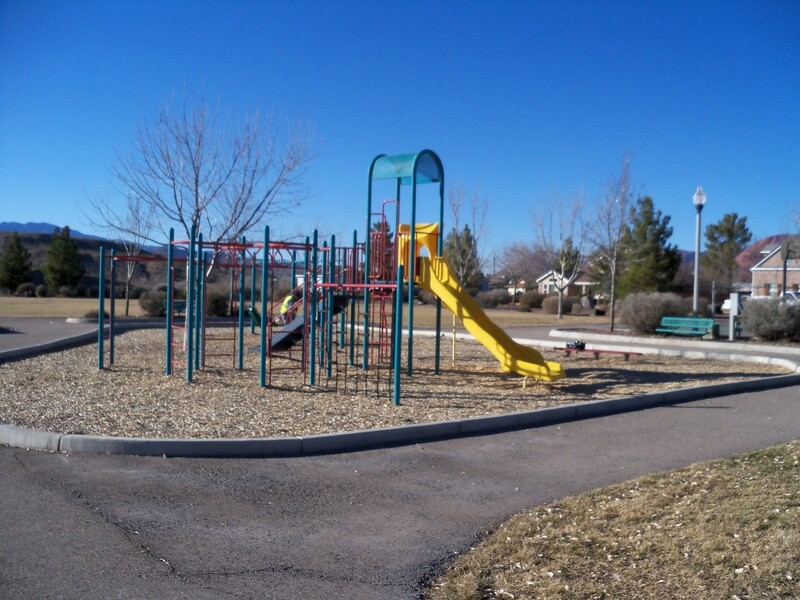 The main trail head is located on the north side of Little League Drive, north of Little League Park. 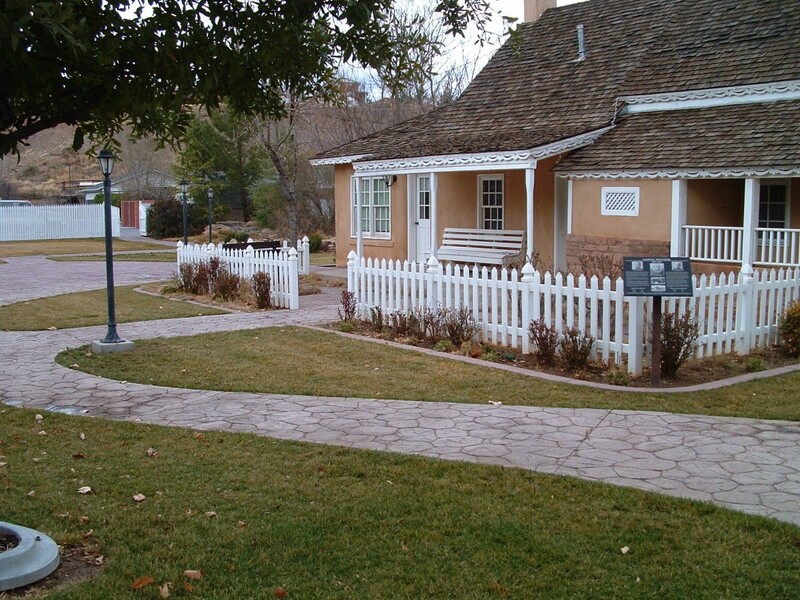 The Jacob Hamblin Trail begins at The Jacob Hamblin Home (3356 Santa Clara Drive) and continues west to the Fort Clare historic site monument. 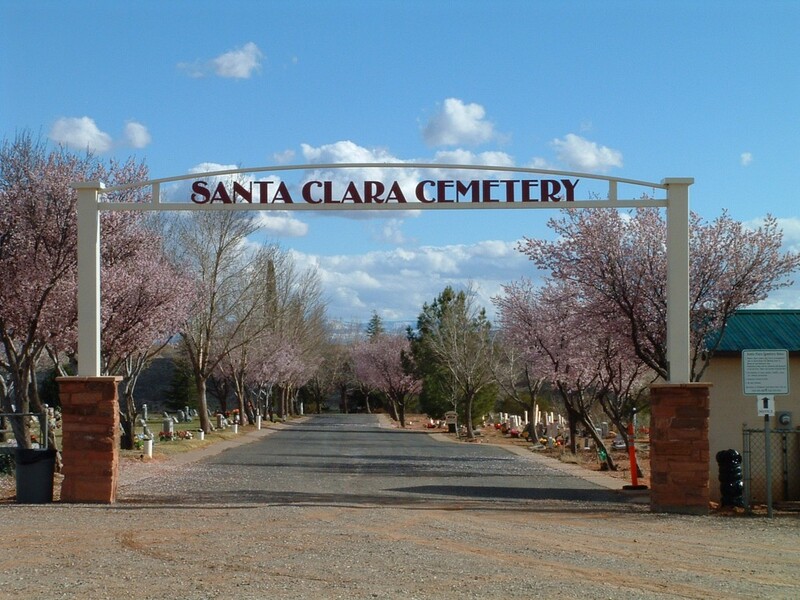 From there, it winds northwest along the hillside near Highway 91 and ends at the historic Santa Clara Cemetery. The length of the trail is .7 miles. 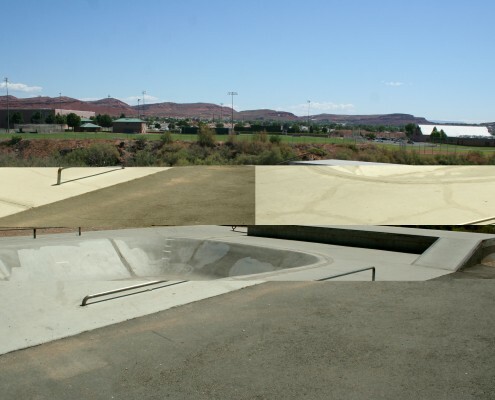 The Pioneer Leg Trail is a continuation of the Jacob Hamblin Trail. 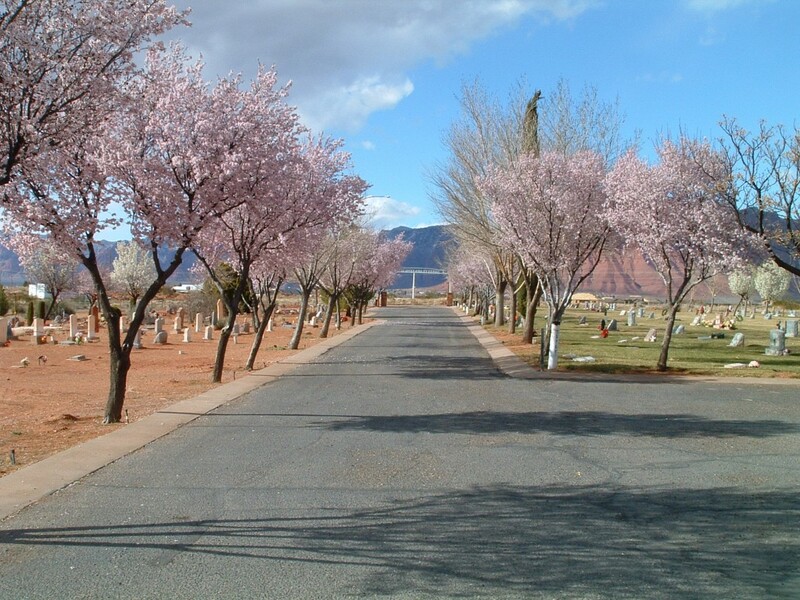 It begins at the Cemetery (4500 Ancestor Way), crosses Rachel Drive and continues to Pioneer Parkway. 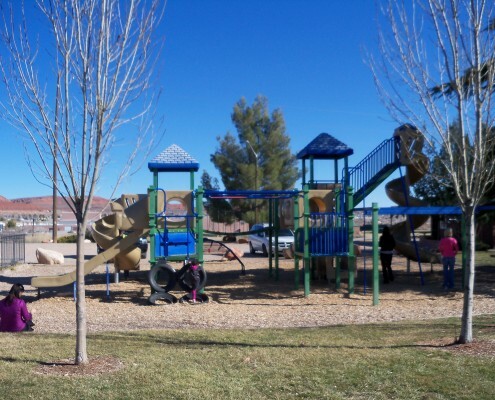 It currently continues along Pioneer Parkway for only a few blocks, but in the future, it will be extended further to the north, between Santa Clara City and the City of Ivins. 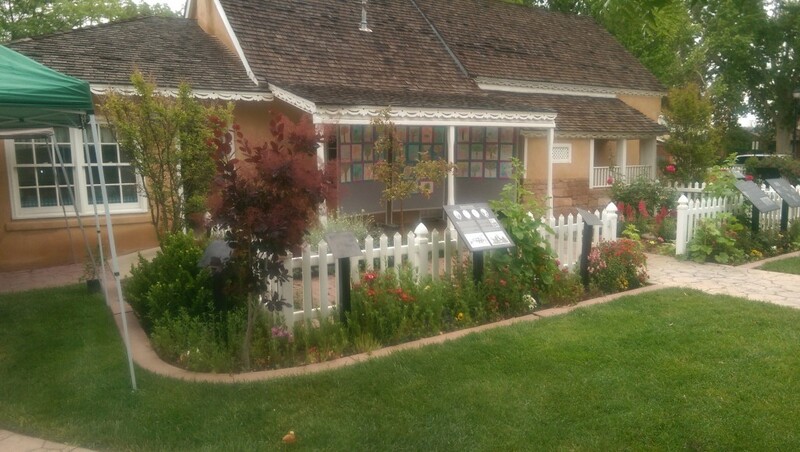 Established in the 1990’s, Heritage Square features plaques of the original Swiss families that came to Santa Clara. 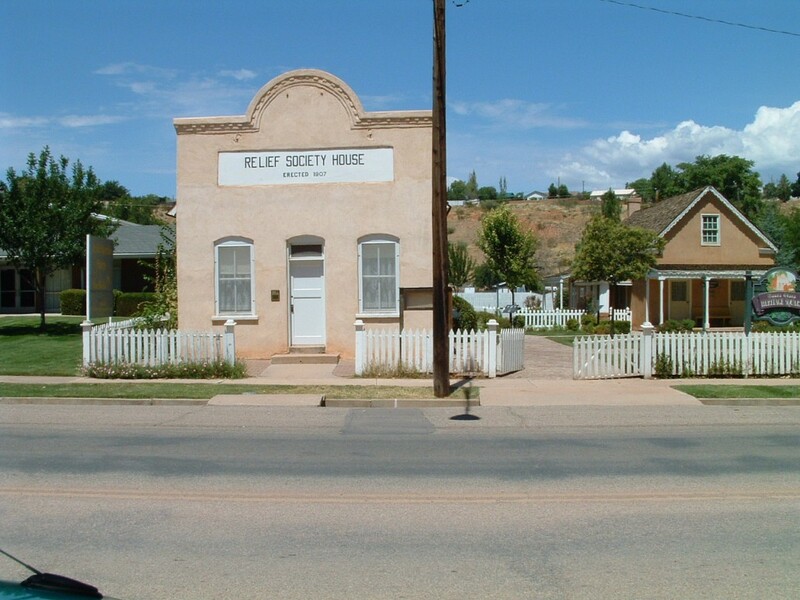 An early home displays pioneer artifacts, and the Relief Society House shows where meetings were held and a silk worm industry was fostered. 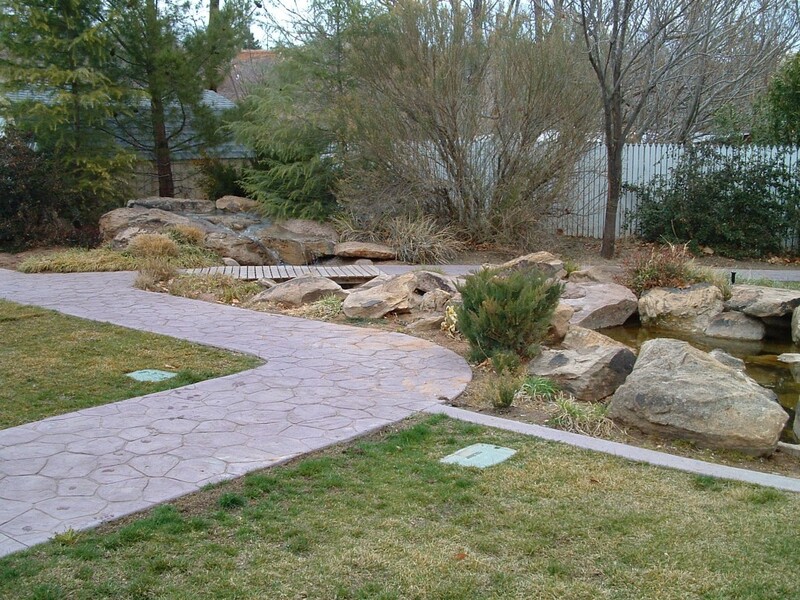 Grounds with a fountain provide space for peaceful contemplation and are available for rent to wedding parties and more. 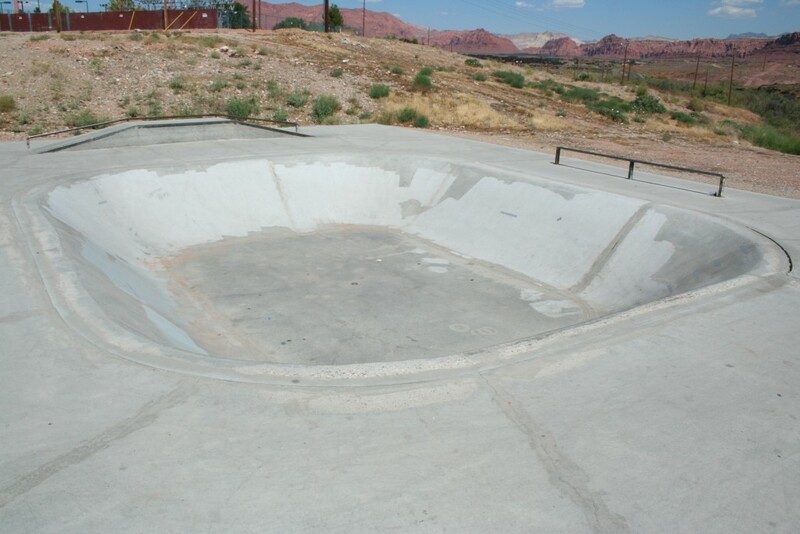 For reservations call (435) 673-6712 x219. 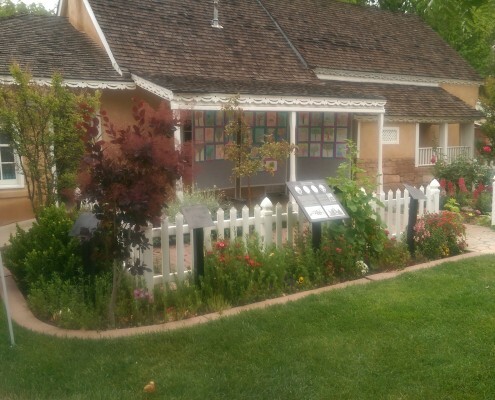 In Santa Clara at 3356 Santa Clara Drive stands a pioneer-era home built in 1862 by Mormon craftsmen for area settler, Jacob Hamblin. 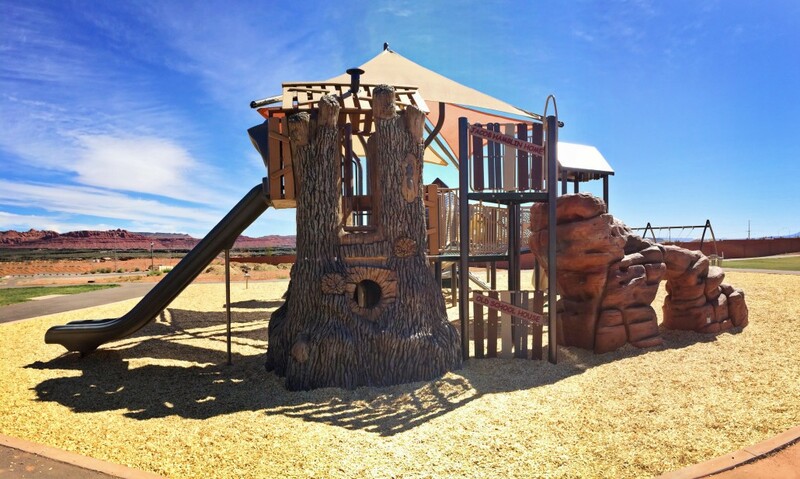 The home is constructed of Ponderosa timbers from Pine Valley and local red sandstone. 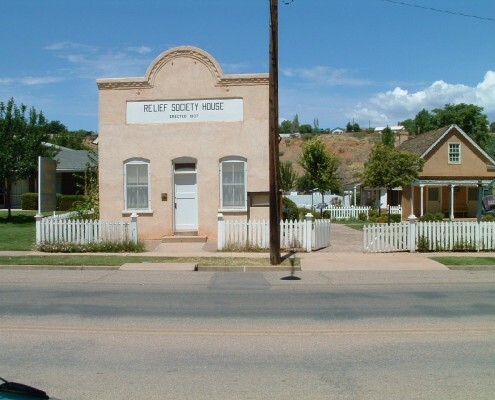 The building was home for Jacob Hamblin and his family and was also headquarters for his missionary work, for the Church of Jesus Christ of Latter Day Saints. 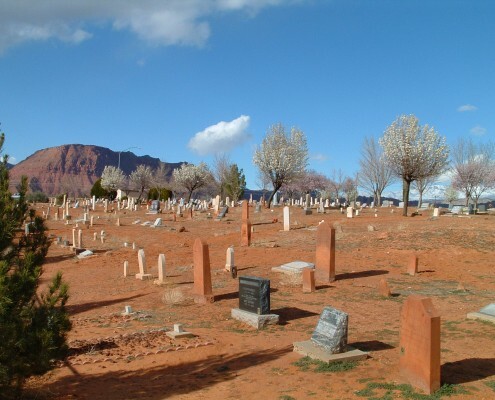 Jacob Hamblin was sent by Brigham Young, the Church leader at the time, as a missionary to southern Utah and became a noted Indian agent, colonizer and peacemaker. He worked out treaties with the sometimes hositle Indians and was called to mediate whenever trouble arose. The storage chamber on the back of the house was built into the hillside to assure a cool temperature to store the homegrown grains and vegetables raised by the women and younger children. The older boys, including an adopted Indian son, helped manage the herds of fine cattle and sheep. Jacob was known for his York peaches and sweet-pit apricots. 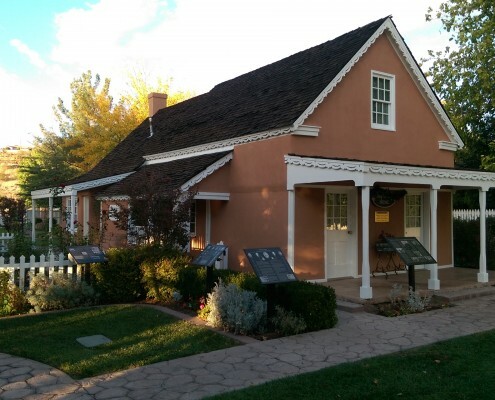 The bedrooms of his two wives have matching fireplaces which not only kept them warm during the mild winters but also served as kitchen stoves for cooking. The bedrooms are also similar in that each one has a stairway leading up to the weaving room and the children’s bedroom. During his lifetime, Jacob Hamblin had 24 children, but with the spread in their ages only about half of them lived here at any one time.